" These annual transfers now can be seen as the quid pro quo for the fact that the economic benefits of “Scotland’s oil” were shared across the UK in the 1980s; that’s how pooling & sharing works over time." What is the value in real terms of said 'Scotland's oil' shared across the UK? How much per head of population to rUK? Anonymous - If I was calculating this I would simply look at the UK government's income from oil since it was discovered in the North Sea and then compare this to how much Scotland's share would be for the same period based on a geograpical share. Finally compare this with the annual multi billion pound transfers we've seen in recent years due to Barnett. India with its 1.2 billion population and 7% annual growth has 150% tariffs on luxury goods such as Jaguar cars (ironic given that Tata is Indian-owned) and Scottish whisky. The Customs Union may seem cosy and familiar, but in reality it is a malign protectionist fortress that hurts the poor inside and poor exporters outside the most: with 60% EU tariffs on Chinese and Vietnamese shoes, 45% on New Zealand lamb, 20% on bananas, 68% on chicken breasts, 100% on granulated sugar, 17% on sports kit, 12% on dresses, up to a whacking 375% tariff on sugar beet. They also drive up inflation. 90% of world growth will come from outside the EU and that's why we need to look at the UK re-engaging with The Commonwealth which will become the largest trading block in the world. We also need to get a Free Trade deal with the USA and that means we need to get a state visit to the UK for Donald Trump. Hate him or love him he's important to UK trade and defense. The UK has effectively subsidised European security by $23 billion in the past five years. Oddly, the largest EU and Nato countries are the leading miscreants. France, ostensibly the alliance’s third-strongest military power, has short-changed Nato by approximately $24 billion over the past five years, meaning it has missed the alliance’s spending target by 9 per cent. Over the same timeframe, Germany, with all its vast trade surplus, has short-changed Nato by a whopping $142 billion. This means it has fallen short of its Nato spending target by 39 per cent. Italy, despite its economic difficulties, still a large and wealthy country of 60 million people, has short-changed Nato by $90 billion, or 43 per cent. Spain has short-changed Nato by $75 billion, which means it has failed to meet the organisation’s target by a colossal 54 per cent. And the Netherlands, smaller but still very affluent, has short-changed Nato by $64 billion, or 42 per cent. There is thus a lot to be said about the UK leaving the EU and thus The Commonwealth and the USA are great reasons to be optimistic for the future outside the EU. 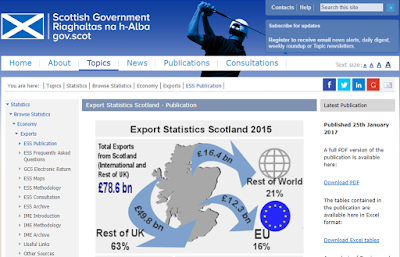 Scotland should be more realistic about remaining in the UK single market as that is where the growth will come from. From the 3 comments you have received, your plaudits/critics are going to be wide and varied! I think that you have captured well the constitutional/political/personal conundrum that has been forced upon us: do we choose the union that is the EU or the union that is the UK? Economically, for the sake of no-argument, I will accept your premiss that the UK is economically far more important than the EU. But then you raise another core point, that union is not just about pounds an pence but about values. And you alight on pooled resources and sovereignty as the cornerstone of our shared union. This is where I start to have a problem because of course that it but one aspect of the union. For example, I do not share the values of what apparently a rather large number of people down south exhibited and continue to exhibit vis-a-vis immigrants. I don't share their values on voting in Conservative austerity agendas (etc). I don;t share their values (expressed through their MPs) on the wars we have entered into or the need for Trident (etc). Am I to sacrifice my values on the alter or pooling? Do I, in other words, rate these values as more important than economic pooling? Short answer is yes I do. In full knowledge that if we are offered yet again a binary solution to a conundrum that demands subtlety of thinking and a range of nuanced answers, then I know where I will place my tick. But thinking of nuance, your argument would have force, great force, if you acknowledged that there are issues that need to be addressed way above beyond the too simplistic pooling example. We need to bring the Act of Union up to date; we need to create a far fairer system of representation at Parliament along the lines that most adult democracies enjoy (equal voting rights regardless how big you are: think US senate; think EU structures); we need to figure out how it is that the south east of England booms at the obvious and clear expense of the north of England and to a slightly lesser extent Scotland; we need to consider whether Holyrood should have more say over Scotland's external affairs (think EEA/EFTA...) such that, for example the half-cake-and-half-eat it economic and migrant option remains on the Scottish table (as difficult as it would be...) etc. Playing the binary game as, in effect, you are doing (it's UK v EU and that's it) is - for want of a better word - divisive and something that you often criticise the SNP for. Let's develop detailed, less binary thinking and funnily enough the majority that occupies the middle ground a s it always tends to do may well find a solution out of the nonsense that (political statement coming up) English voters have imposed on the rest of us (because even if the whole of Scotland had 100% voted against Brexit, we'd still be here - that's that lack of adult democracy thing I'm talking about, so no, that was not an anti-English thing to say..). Re more nuanced arguments - couldn’t agree more - this specific post was written as a draft of something i need to get down to 800 tabloid friendly words so one has to pick ones topics. 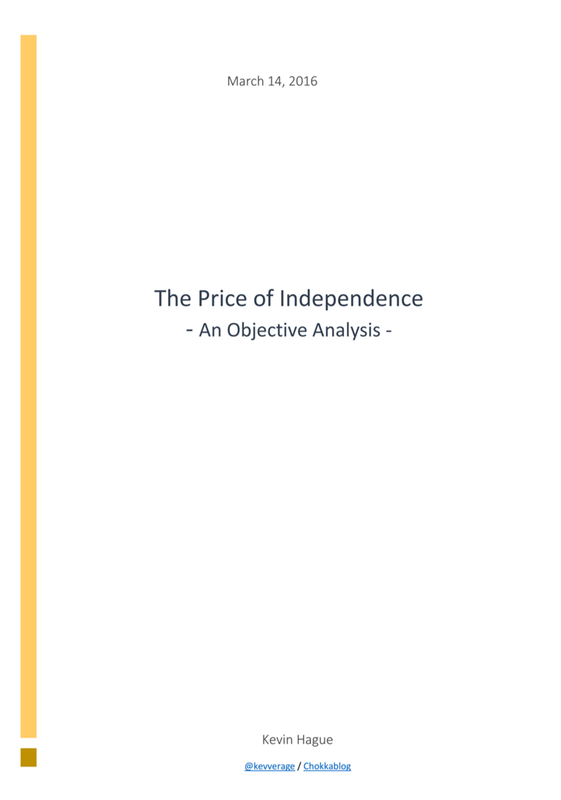 But see recent blogs here on iniquity of the Barnett Formula (which by the way has massively favoured Scotland over Wales) regional economic gaps within England and my more general musings on the need for the constitutional settlement to evolve. Peter Sellar , of course you dont share the mostly English view on migration because you live in a part of the UK that does not have millions of immigrants, feel free to pass judgement if and when Scotland gets millions of migrants. Your lucky that in Scotland you get a Block Grant based on population so the more migrants the more money you get but no such thing for England. Kevin - good reply back. I am guilty of dumbing down some of my arguments too densely. While of course there are different attitudes north and south, and different decisions may have been taken depending on the hue of government at the given time, at the end of the day (as Ruth D and Nicky S both said to each other once) we have more in common than that which divides us. That said, I don't see a distinction between those in Carluke, Carlisle or Carcassone. And that's where it gets tricky because it may very come down to that divisive, binary, non-nuanced referndum choice between one type of union over the other. And as for "Anonymous", I'll pass on your kind message to my French wife and to all my good friends in London - the world's capital of immigration - who voted remain. "a far fairer system of representation at Parliament"
What could be fairer than every person having a vote of equal weight? Why should person's vote become more or less valuable because they move house and happen to now reside on a different side of an arbitrary line on a map of the UK? "we need to consider whether Holyrood should have more say over Scotland's external affairs (think EEA/EFTA)"
It would be a waste of time to consider such things, because they are not possible, because EEA/EFTA membership is only available for sovereign states, and the people of Scotland don't want independence. Sorry, but in the real world, somethings really are binary. John - the system is not fair if the system is constituted by separate countries/nations however you wish to call them. The USA appears content to have 2 senators represent Wyoming with a tiny population and California with a massive population being represented by the same number. Wyoming is just as powerful in the Senate as California is as a result. Ditto in the EU where Malta has, at times, the same power as Germany. One (wo)man, one vote is too blunt an approach if I can put it diplomatically. "I'll pass on your kind message to my French wife and to all my good friends in London - the world's capital of immigration - who voted remain. " Seriously? your 'French' wife voted in a referendum that French nor any EU national could not vote in. Again you do not get to pass judgement on millions of people who live in a part of the UK that has millions of migrants while you reside in another part that does not experience the issues mass migration brings and it is beyond hypocritical to do so given the Block Grant you enjoy is population based. 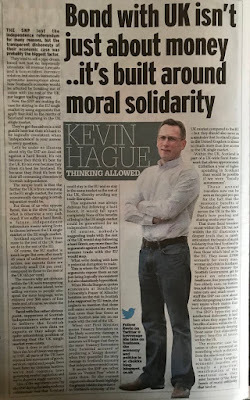 And Kevin you as well, you don't live in a part of the UK that has millions of migrants so you also do not get to pass judgement on those that are experiencing the problems associated with the same. Do you really think over 15 million people are racist and anti migration? does it not make more scene that they are experiencing the problems first hand so took the only option there was to stop mass uncontrolled migration? Are your seriously saying Barnet is not funded on the amount of people currently in Scotland? it really would be a bizarre state of affairs to dish out subsidy's without knowing how many people your dishing out too. Anonymous - no, she didn't vote because she did not have the right to but that is another debate for another time. You're twisting points to suit your own agenda. Will leave you to it. 2. I have spent a lot of time understanding the dynamics of the Barnett Formula (try this for example http://www.these-islands.co.uk/publications/i271/what_is_the_barnett_squeeze.aspx - Scotland benefits massively, but mainly due to declining population - because only the change in budget is allocated based on population, so think through this example: no budget increase => no change to budget => no Barnett imapct => bulock grant stays the same ... but if Scotland's population declines (or doesn't rise as fast as rUK) then it's block grant per capita goes up. Trust me: Barnett Formula favours Scotland if slower population growth than the rest of the UK. Kevin - your point raises another interesting one for me. If Scotland could increase its population, you're saying that it would lose more from the Barnett block grant. With the recent paper from the SG pointing out that immigrants contribute £xyz amount to the Scottish economy, could the negative effect of the mathematically reduced block grant be cancelled out/bettered simply by having more economically productive immigrants in the country (or a more economically productive growing population). Am I making sense? Our system is NOT constituted by separate countries/nations. Our system is one voter, one vote. The American Senate, which you criticise, is what you are also arguing for. Why wasn't Holyrood set up so that the Islands could outvote the Central Belt? Why aren't you complaining about that injustice? As soon as someone in a position of power in the EU says it is theoretically feasible for Scotland to join the EEA/EFTA, then I'll entertain your thoughts on this matter. Until then, you are just wasting everyone's time. The problem isn't Westminster. It is Brussels. And devolving immigration powers would be a good step, though for some, perhaps a dreaded first step. John - I wasn't criticising the Senate; on the contrary, I was using it as an example of how a different voting system can (at least appear to) be fairer than what we have in the UK at the moment. And we'll have to accept our differences on the qu of whether our system is constituted by separate nations if by separate I mean that there was and is a distinction between Scotland, England, NI and Wales. Re the EFTA point, non-UK commentators cannot say anything than what they have said until such time as internal politics in the UK makes the first move (e.g. 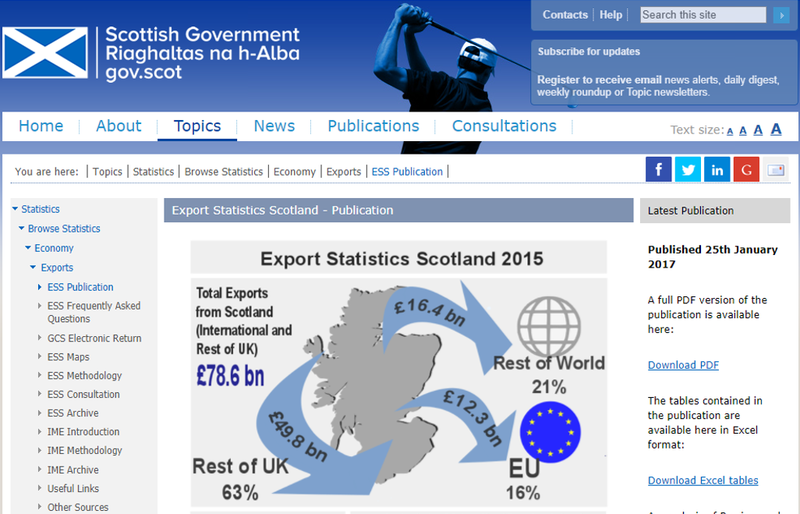 gives Scotland external affairs competence.) But if Scotland (or NI, for example) were to get such powers, which NI appears it may do, you might see a change. It is not "fairer" for one person's vote to count 20X more than another person's vote because their houses are one mile north and one mile south of a line on a map of the UK. The American system that you seem to admire gave us President Donald Trump, although he received 2.9 MILLION fewer votes than Hillary Clinton. We have always recongised a distinction between Scotland, England, NI and Wales; we have therefore said "therefore, Scottish votes count more". "non-UK commentators cannot say anything" - Oh good grief. They can, and they have. They have pointed out that the EU and the EEA are made of treaties among member states and there is no way for a non-sovereign state to join. The Faroe thing is nonsense, as was pointed out longly and loudly a year ago. Yes, they applied - 12 years ago. No, they were not accepted, nor will they be - because they aren't sovereign. Please, for the love of God - go outside the separatist information bubble every once in a while. John - point I was making is that "it is all politics". Law follows politics so whichever bubble you may be in, funnily enough you can find the law to suit. Whether that law works depends on the politics. And that is why I made my point that if things mover internally within the UK, externally things would follow; but it has to be in that order. Once that happens, the law will be found to assist on the way. Nothing is black and white, especially re international affairs. I wouldn't criticise the US way of doing things too much given that we have never had a popular majority government at Westminster since 1945. And the point remains that there are plenty of other examples of "differentiated options" within a sovereign state allowing for distinct external policies. "there are plenty of other examples of "differentiated options" within a sovereign state allowing for distinct external policies." 2) The EU and the EEA/EFTA won't consider a non-sovereign state last a member. It has nothing at all to do with internal policies of the UK. "if things mover internally within the UK"
No one has the mandate or the constitutional power to grant your wish of making our votes count 20X more than a votes cast in Northumbria. Now, maybe it would have been clever for the SNP to spend the last 11 year making THAT campaign their priority, and using their supposedly immense powers of charm and persuasion to convince the rUK to vote for changing Westminster in that manner, via a UK-wide referendum. But they didn't. And so your vote will continue to count the same as one cast in Berwick. I note that nobody mentions the very large numbers of Scots who are resident in England (and elsewhere) who are not allowed to vote in the independence referendum. If these Scots were included then the independence debate would have ended long ago.